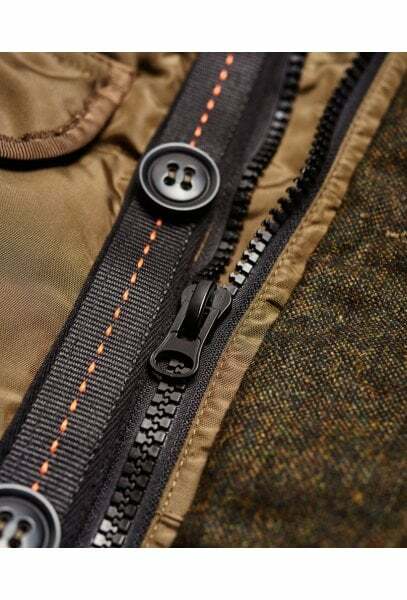 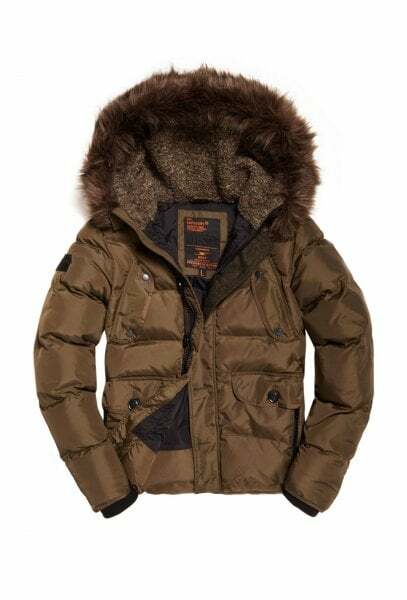 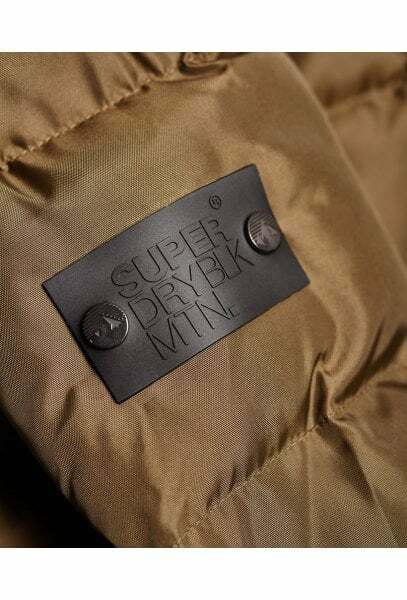 Superdry men’s Chinook Parka Jacket. 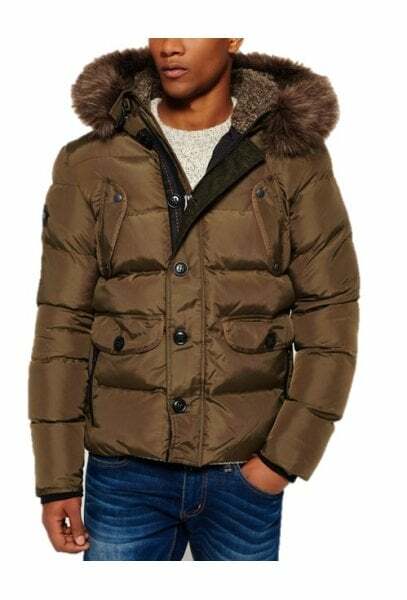 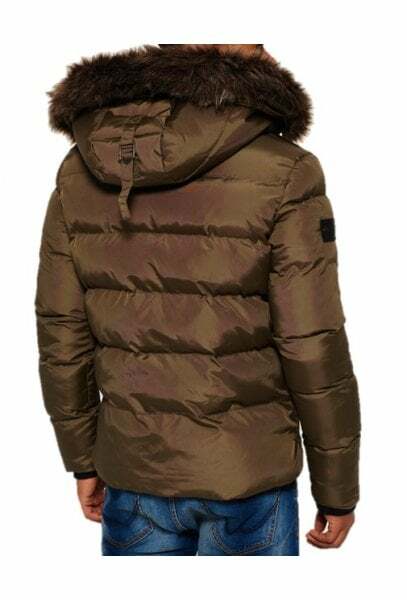 This quilted parka jacket is ideal for staying warm while outdoors, featuring a fleece lined hood with a detachable faux fur trim a double- layered button and zip fastening, elasticated cuffs and six outer pockets. 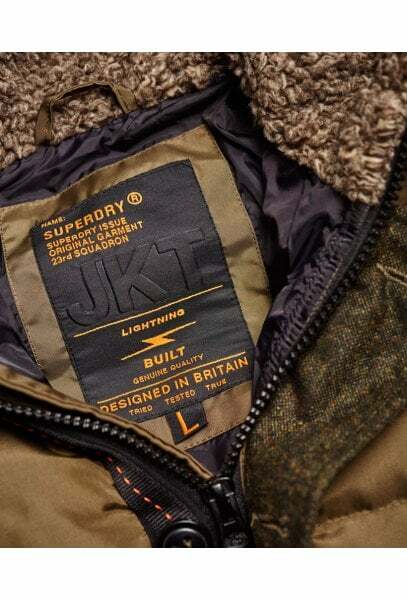 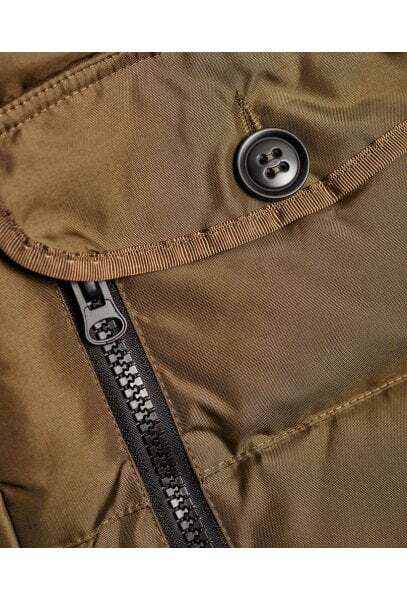 The jacket is finished with a detachable Superdry logo on one arm.